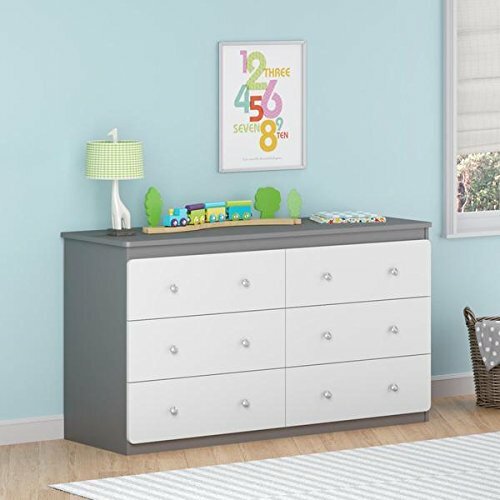 This Baby Nursery Dresser features a clean and modern design that works well with both contemporary and transitional decor. Built to meet our quality standards for safety, this well crafted Six Drawer Dresser also looks great. With six spacious drawers, this Dresser has plenty of room to store clothes and accessories. Assembly Required. This product will ship to you in multiple boxes. If you have any questions about this product by TMHG, contact us by completing and submitting the form below. If you are looking for a specif part number, please include it with your message.